What do social workers need to know in order to practise skilfully and effectively? 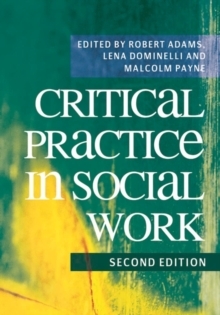 Edited by three Social Work's leading scholars, the second edition of this highly respected textbook helps bridge the gap between social work theory and the challenges of day-to-day practice. Versatile and thoughtful, the book's simultaneous accessibility and depth make it essential reading suited for both social work students at undergraduate and post-qualifying level. Practitioners, too, will learn and benefit from the insights collected together in this valuable addition to their bookshelf.